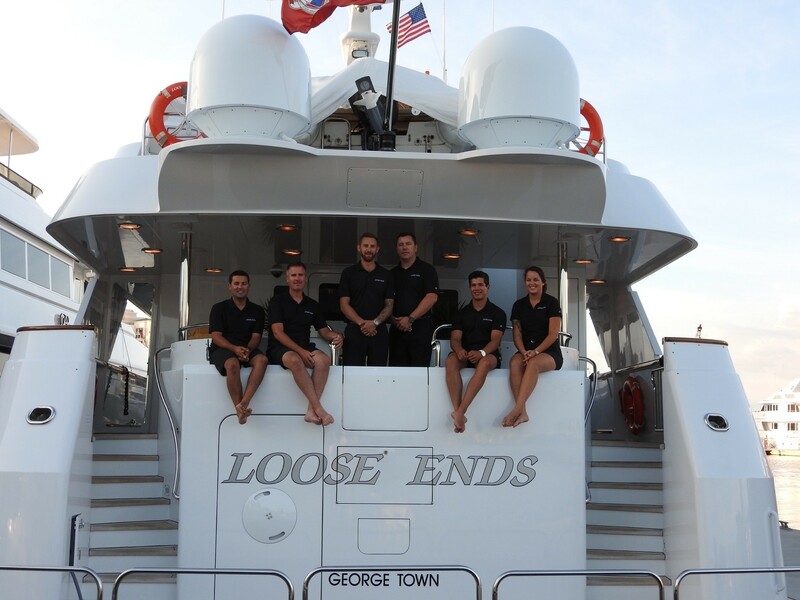 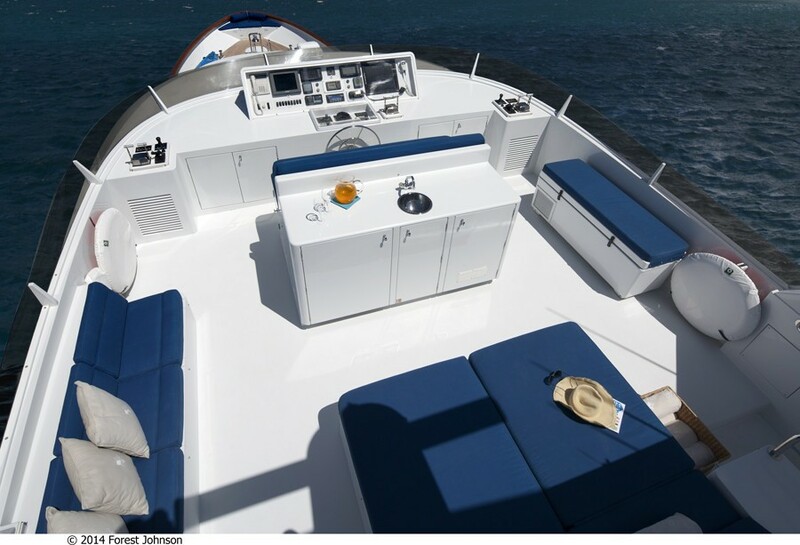 LOOSE ENDS motor yacht provides has a casual and relaxing atmosphere for luxury yacht charters in the Bahamas where she is based year round. 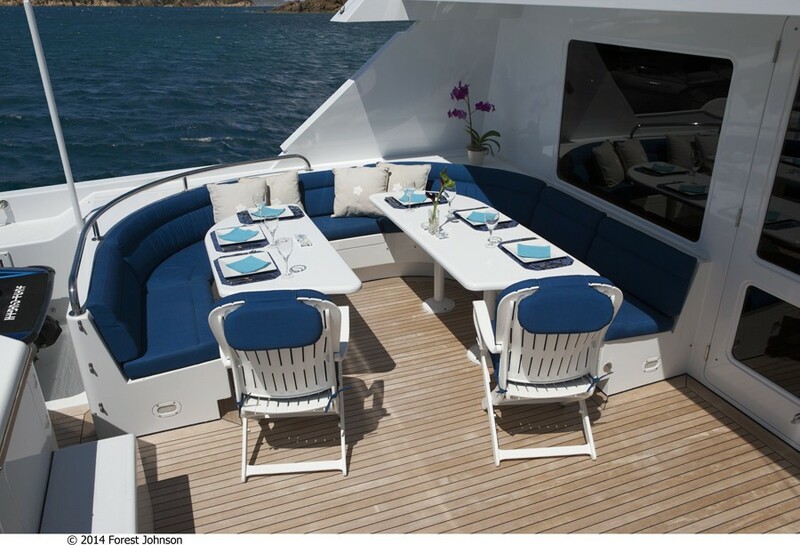 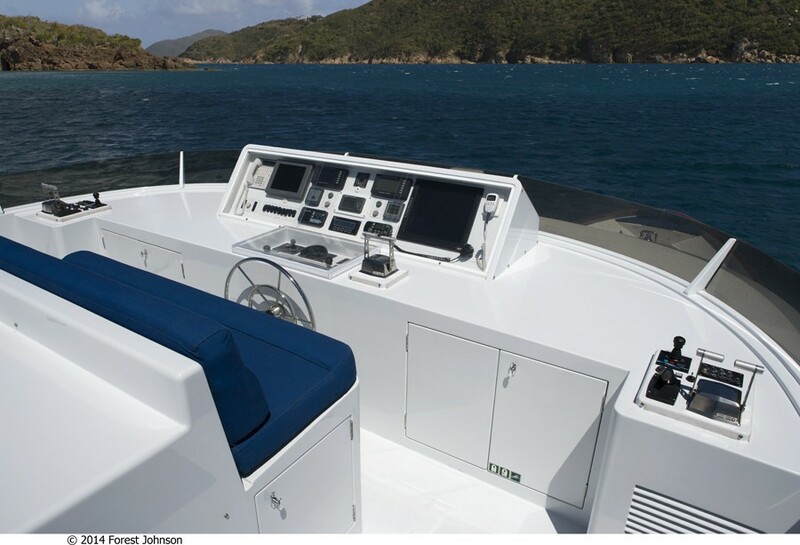 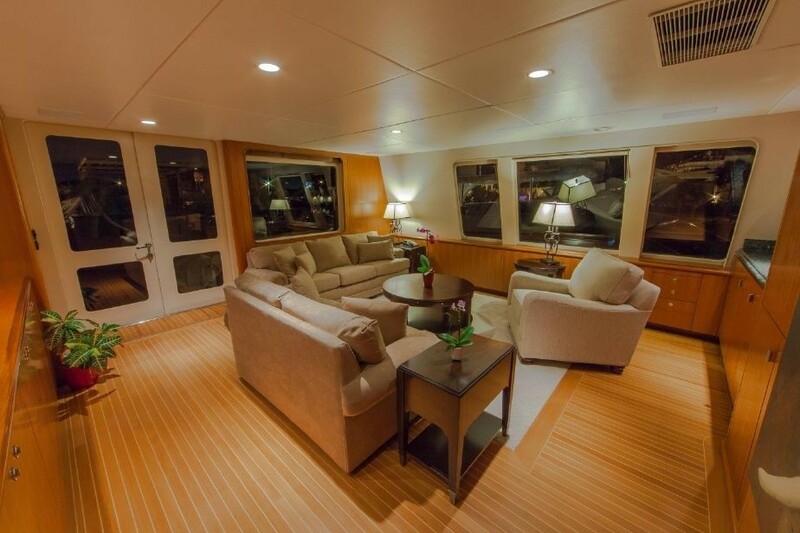 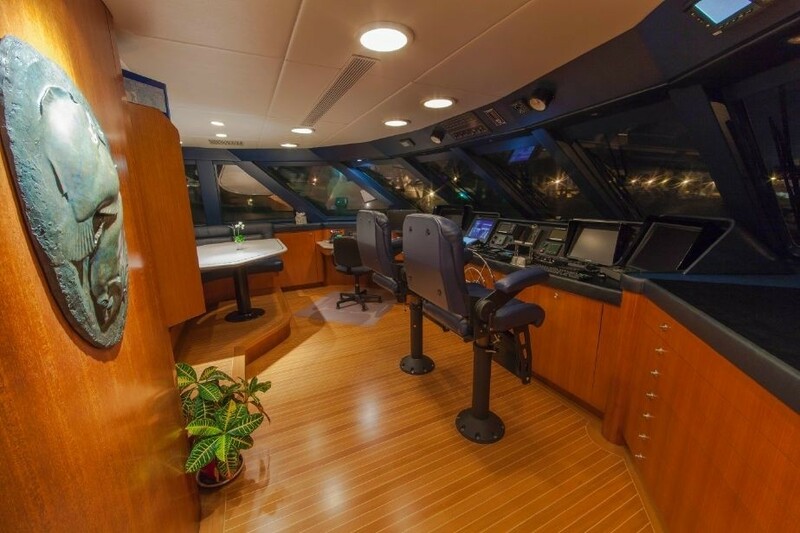 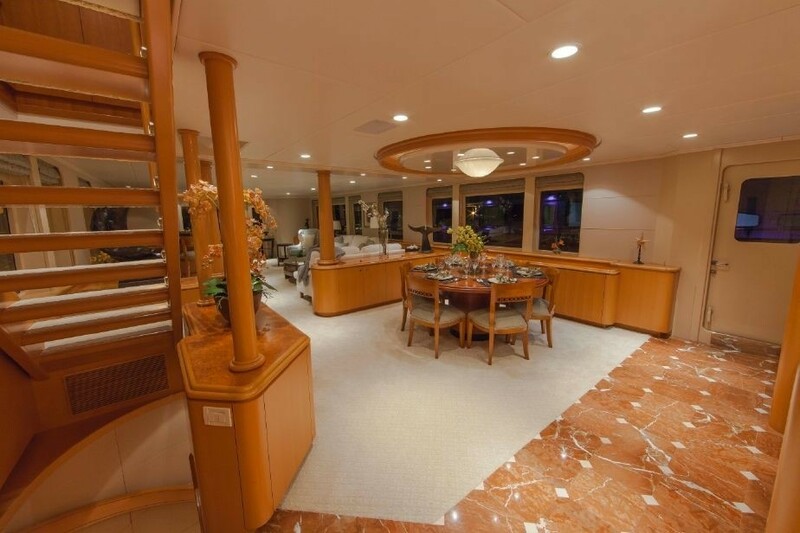 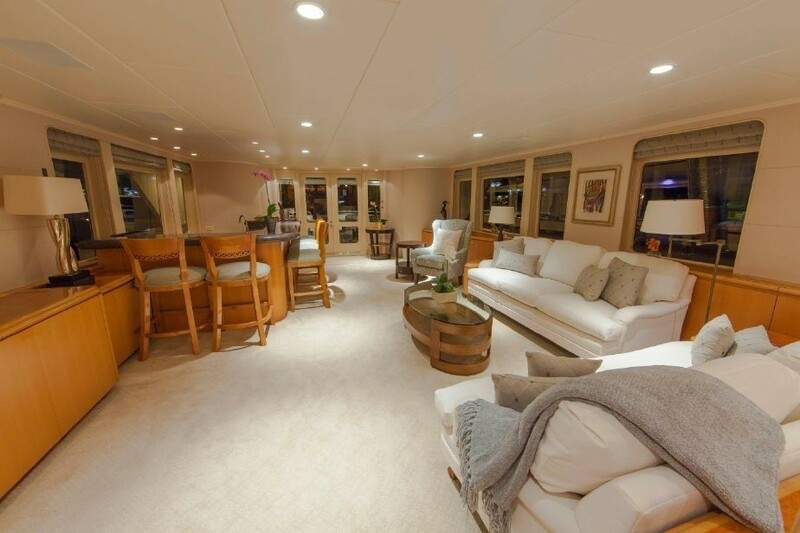 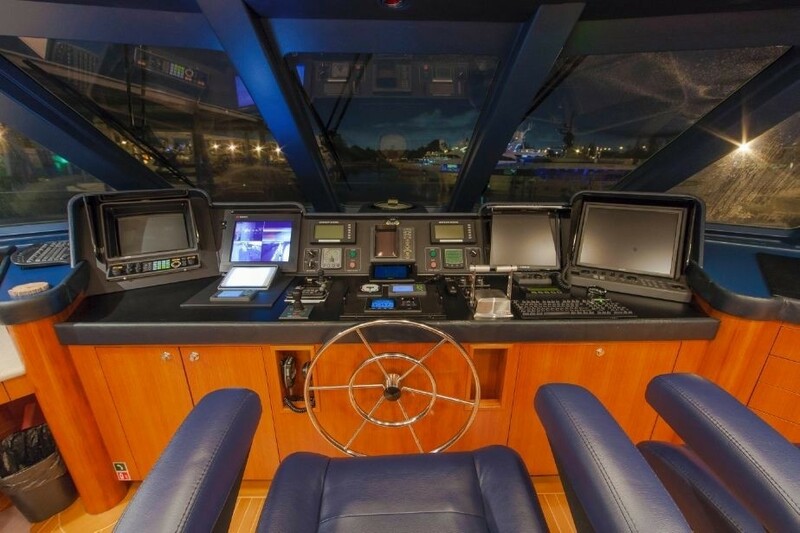 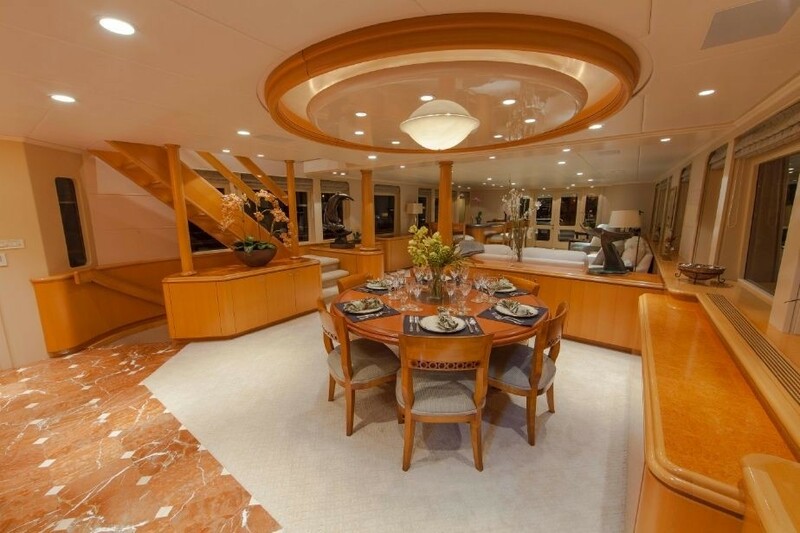 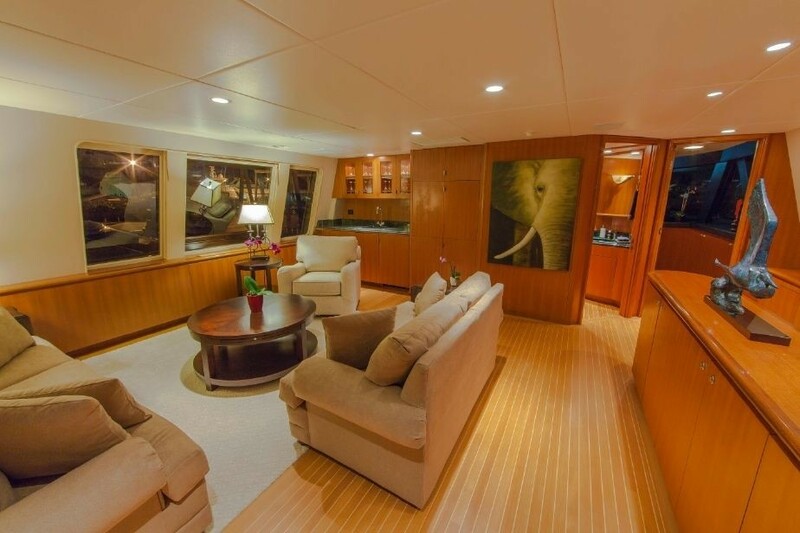 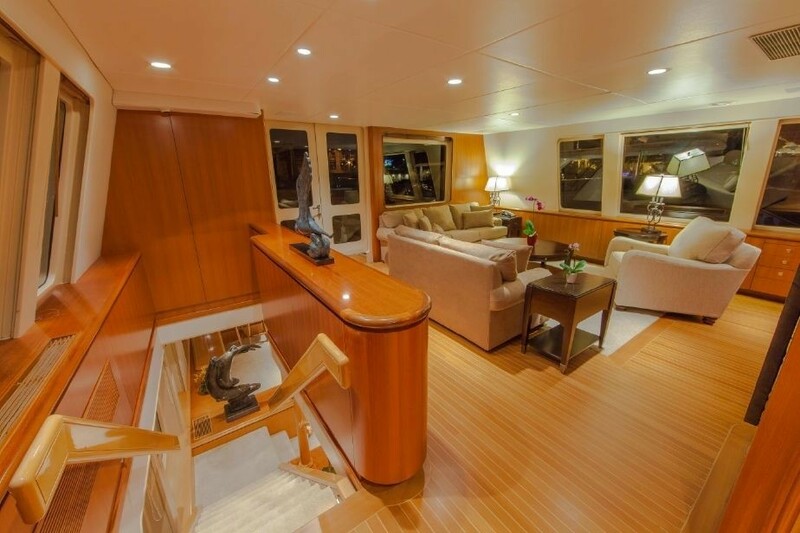 Her interior is light and spacious with large windows on the main deck offering plenty of natural light. 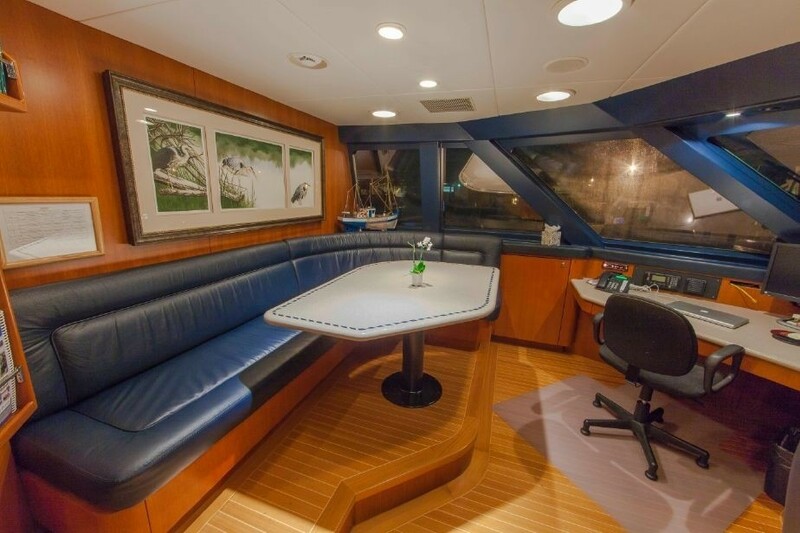 The main salon features comfortable seating, a bar and further forward there is a dining table for up to 8 guests. 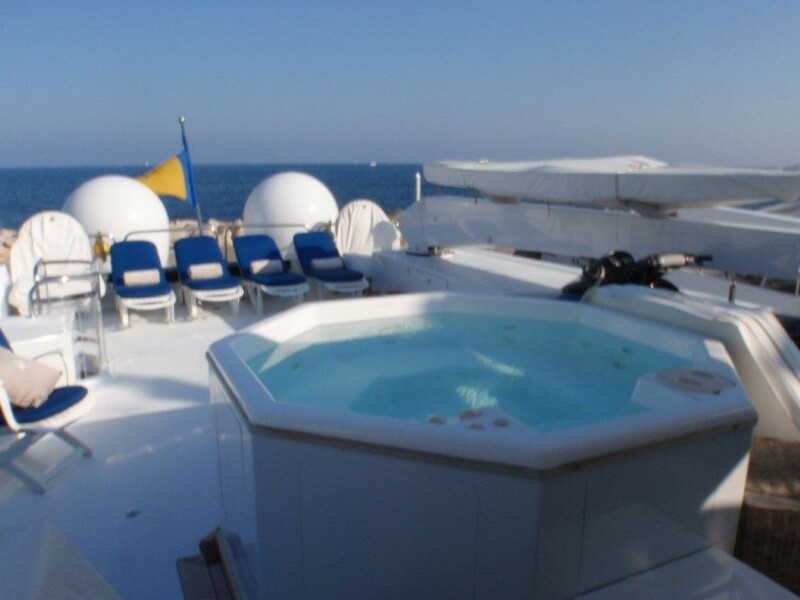 It is also possible to dine al fresco on the aft deck or enjoy a causal BBQ on the sundeck after a relaxing soak in the Spa Pool. 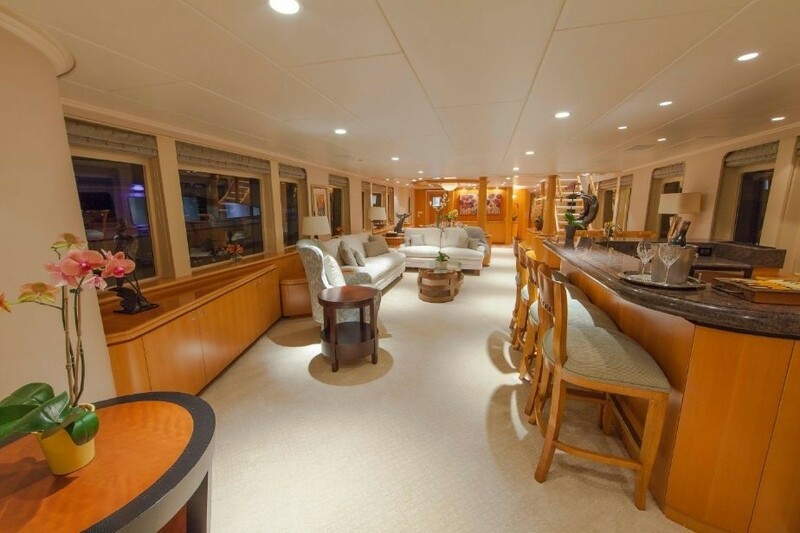 Motor yacht LOOSE ENDS is able to accommodate up to 8 guests in 4 double cabins including a full beam Master Cabin, located below deck amidship, with king size berth, walk-in closet, settee, and his and her marble bathroom with Spa Pool tub. 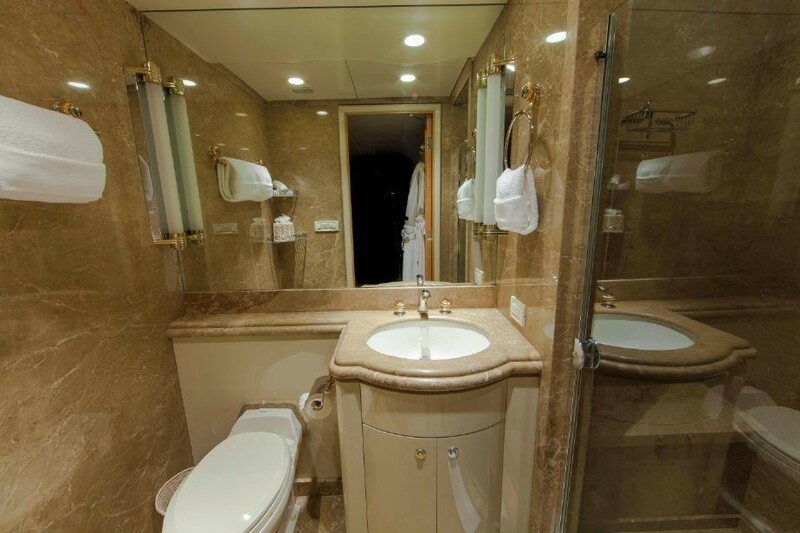 Two identical queen sized guest staterooms with ensuite marble bathrooms with showers are also located below deck and a fourth stateroom with queen berth and ensuite facilities is located on the main deck forward. 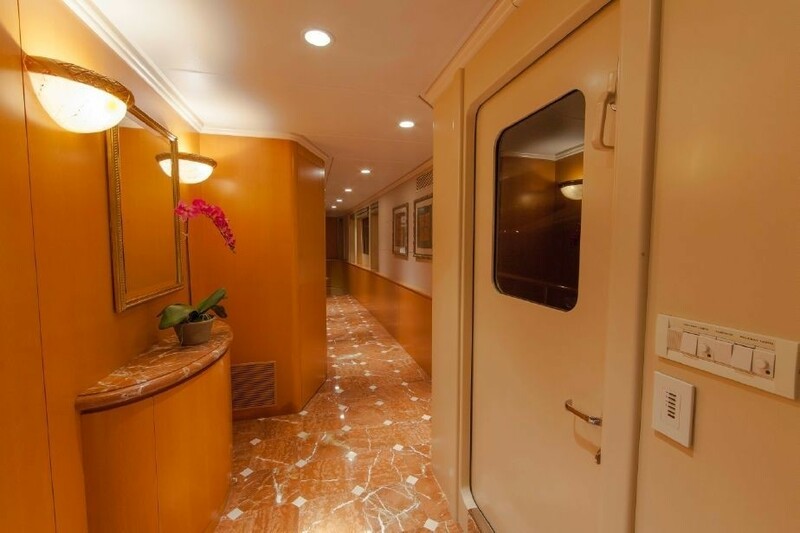 All guest accommodations have complete entertainment systems. 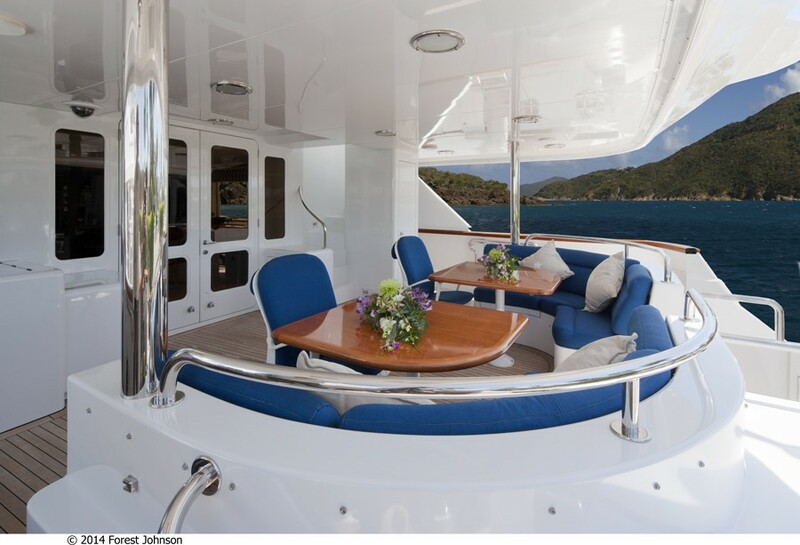 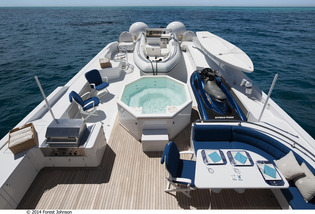 Yacht LOOSE ENDS has a crew of 6 who know all the best spots in the Bahamas and she boasts a great selection of water sport toys for a holiday of pure leisure. 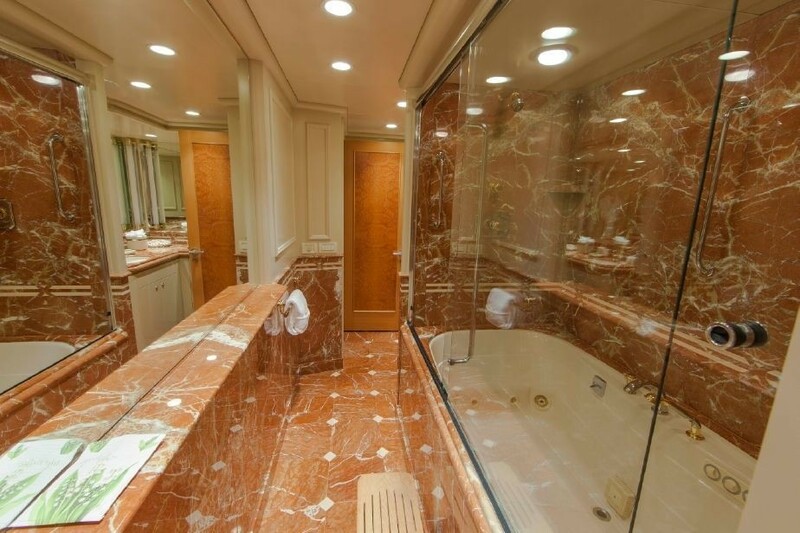 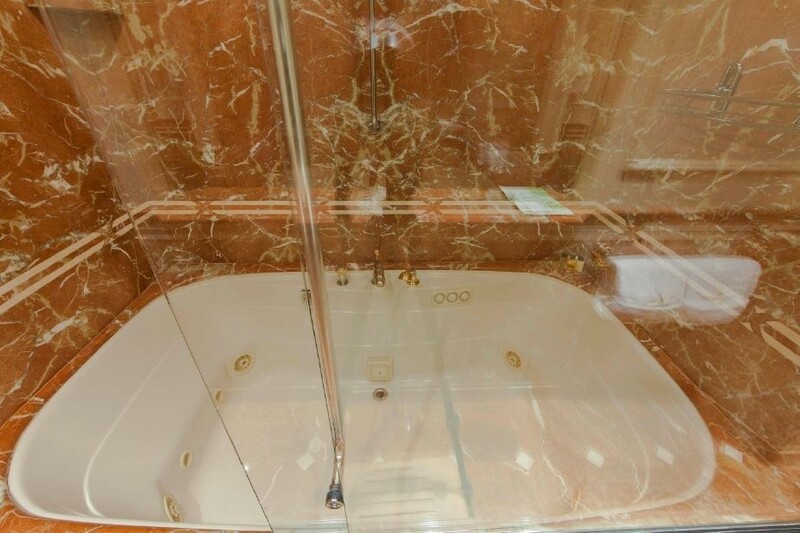 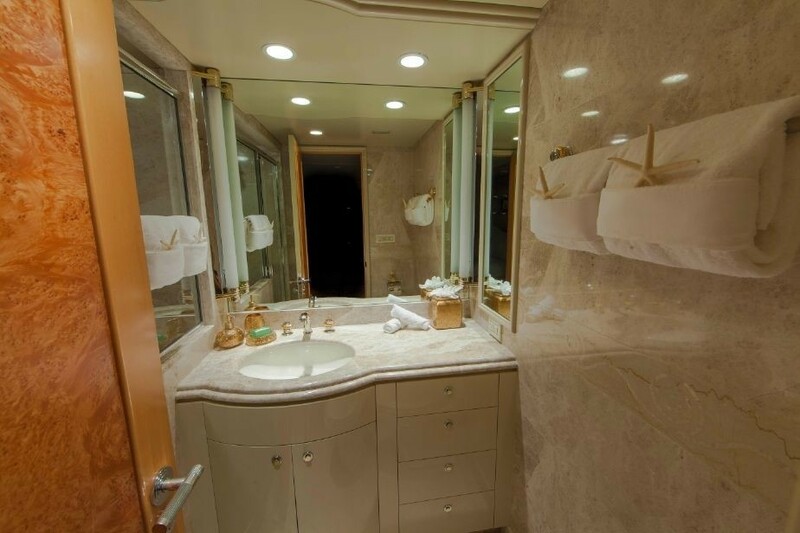 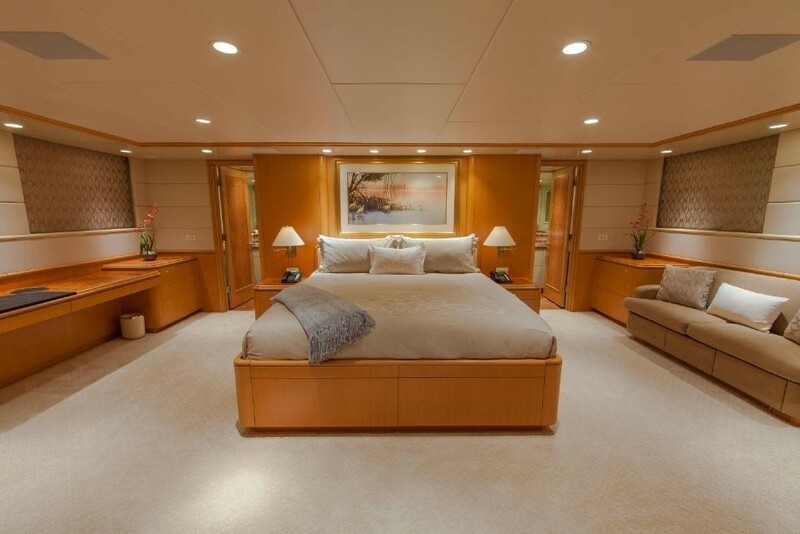 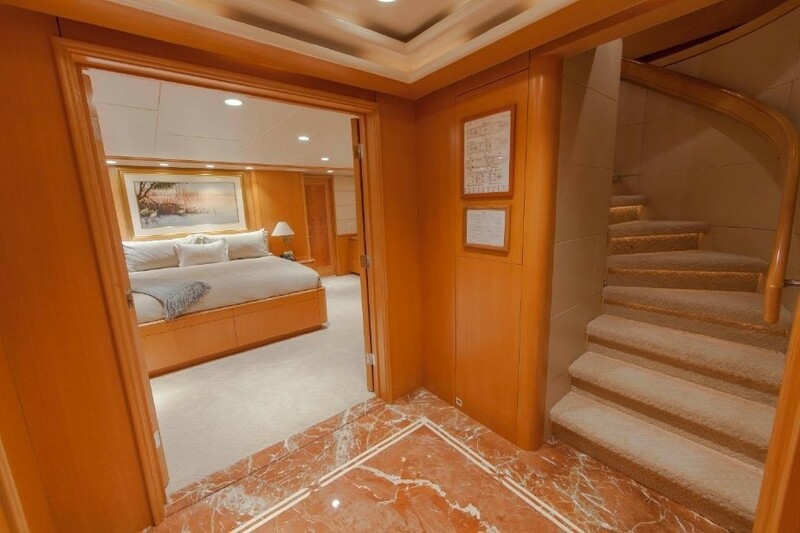 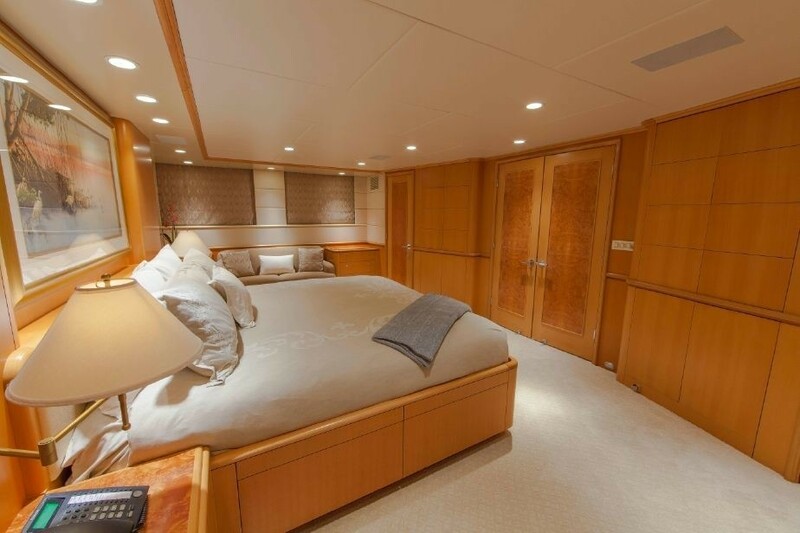 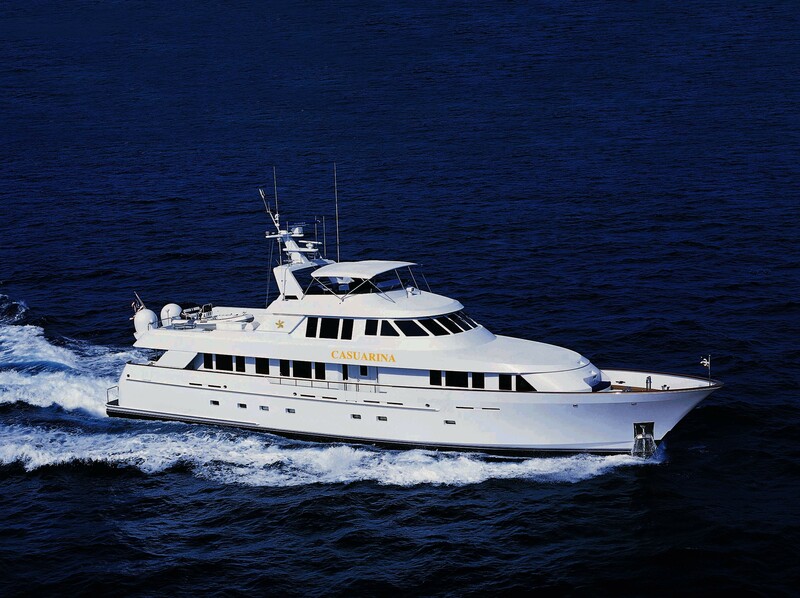 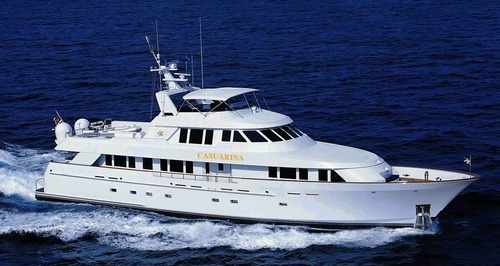 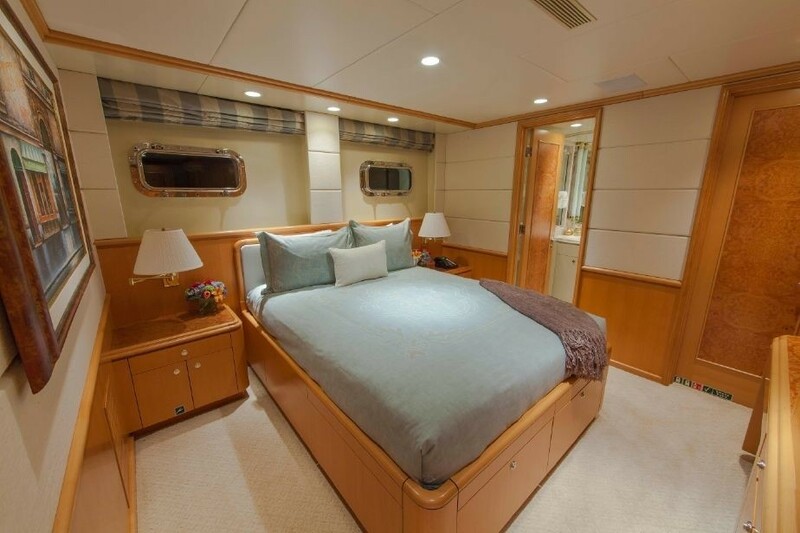 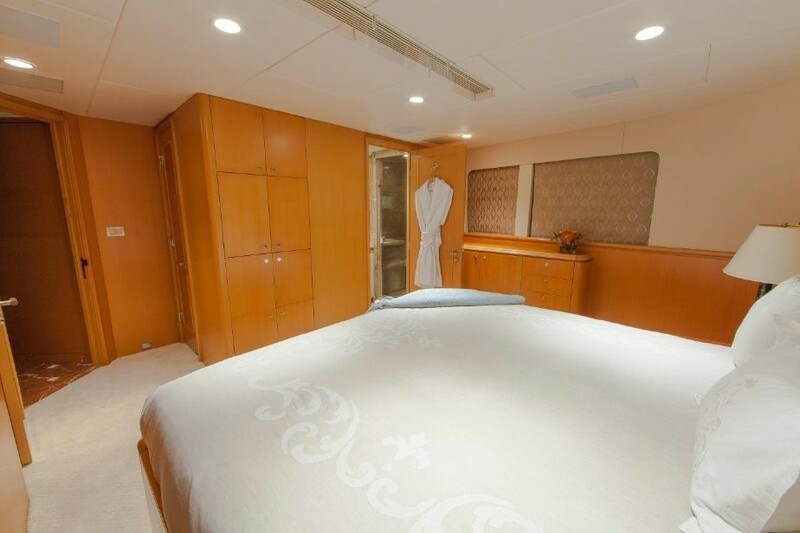 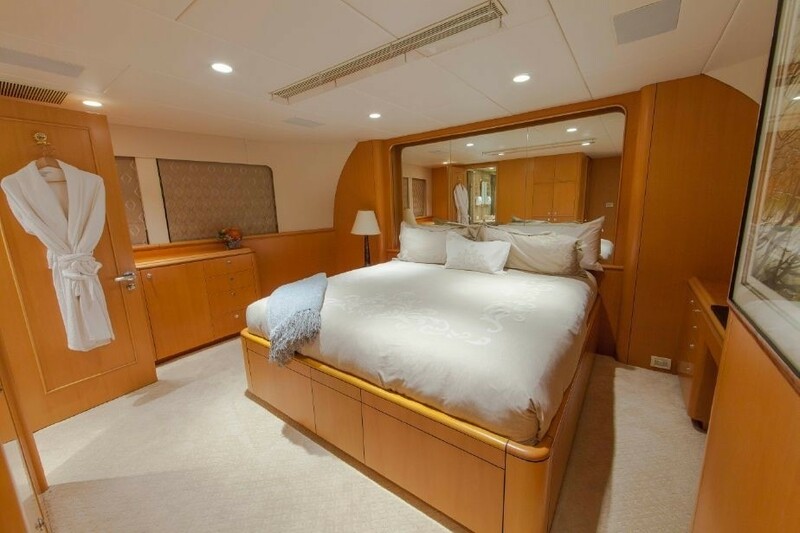 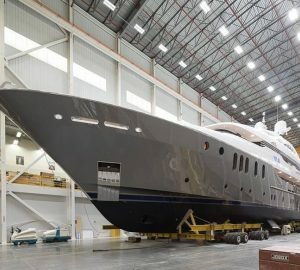 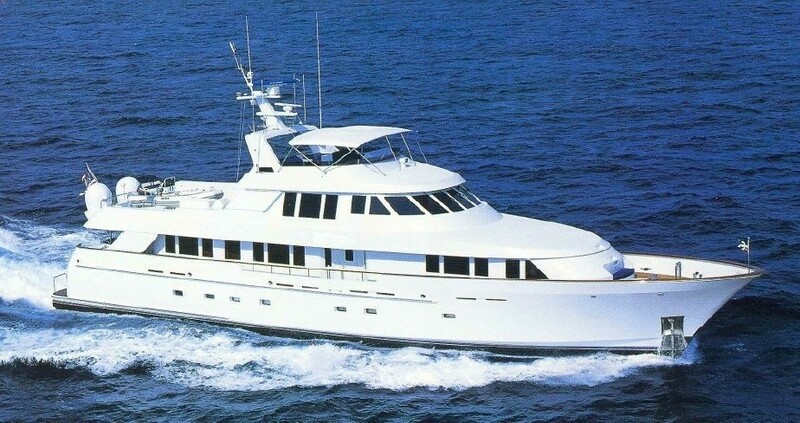 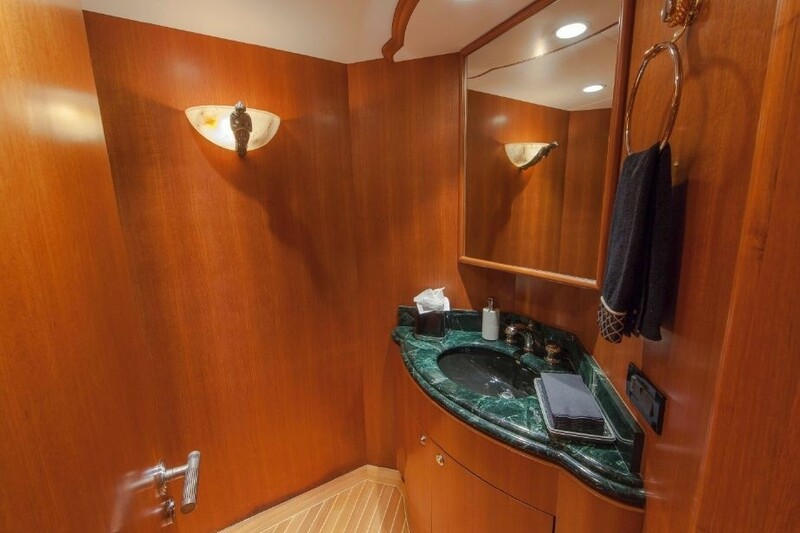 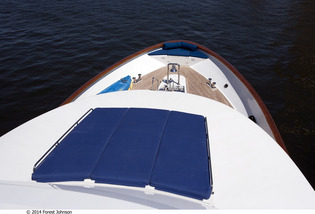 Motor yacht LOOSE ENDS is able to accommodate up to 8 guests in 4 double cabins including a full beam Master Stateroom, located below deck amidship, with a King size bed and ensuite marble his and hers bathroom, Spa Pool tub and shower. 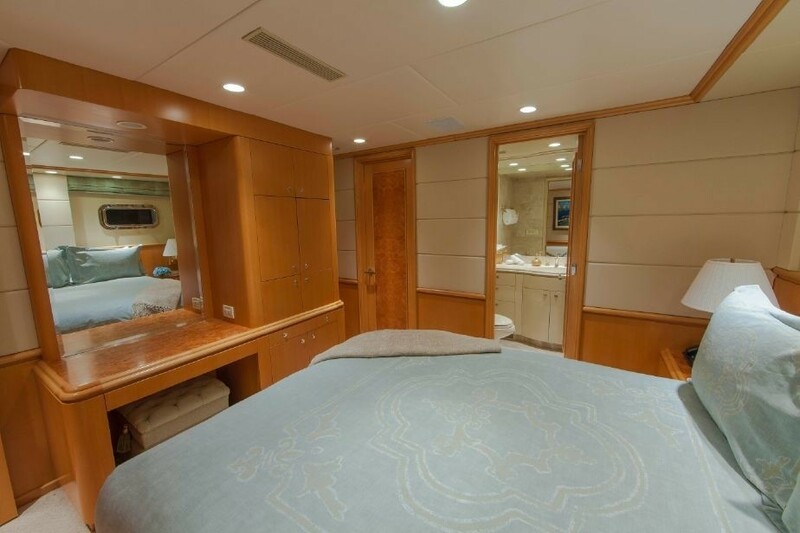 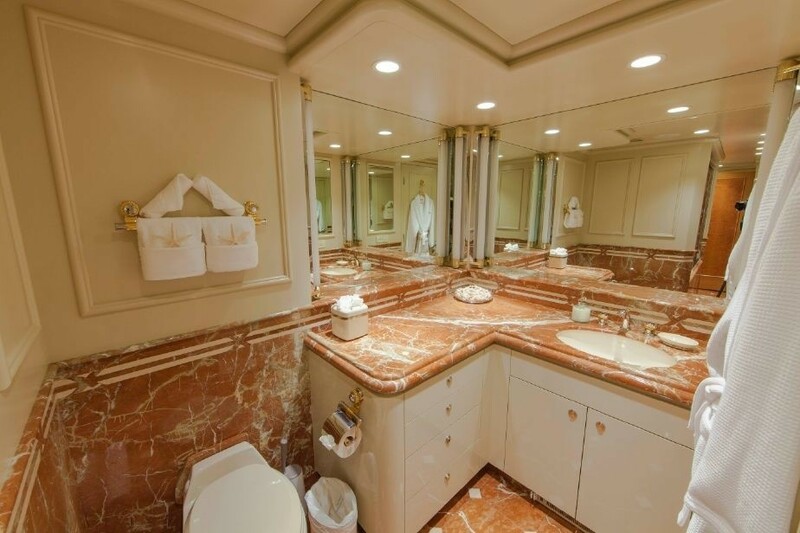 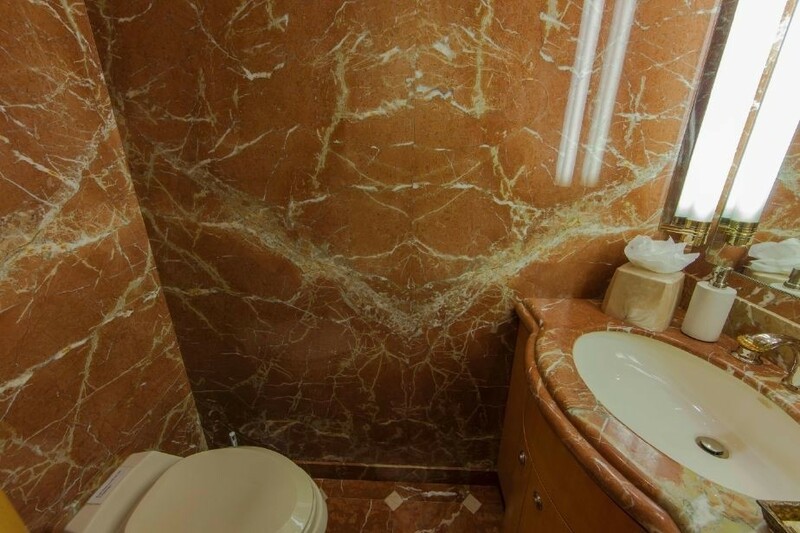 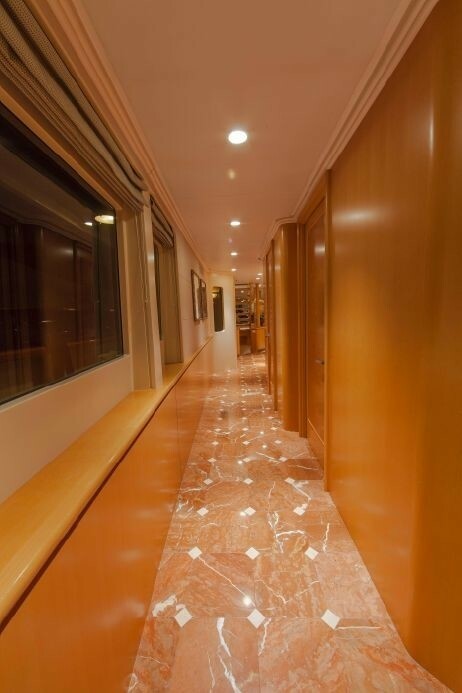 There are 2 Queen Staterooms below deck aft plus an on-deck Queen Stateroom, all with ensuite marble bathrooms with showers.